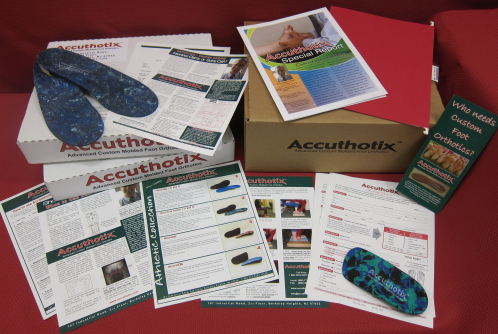 Make the switch to Accuthotix today! For your FREE Starter Kit, call 1-888-325-FOOT (3668) toll-free, Fax: 908-263-7160 or simply fill in the form below. This kit is for first time customers only.